The digitalization of all of the aspects of exchange relationships has resulted in numerous alterations in the area of marketing. First of all, digital marketing opened the door for alternative media for communication, scaling, and analysis of commercial data. Also, it impacted the way businesses and brands utilize technology for advertisement and interaction. And finally, this new turn led to the development and distribution of digital marketing tools which facilitate the everyday tasks of the experts in increasing profit and building brand identity. As a result, this forever revolutionized the measurability and assessability of marketing strategies and imposed a new tone for marketing communication. Which Are The Essential Free Digital Marketing Tools in 2018? It is required a specific type of courage to not merely consider but also announce something an essential. Because I have no lack of such courage, I would happily title the following free digital marketing tools as part of the essentials kit of anyone who wishes to pursue a career in the area. 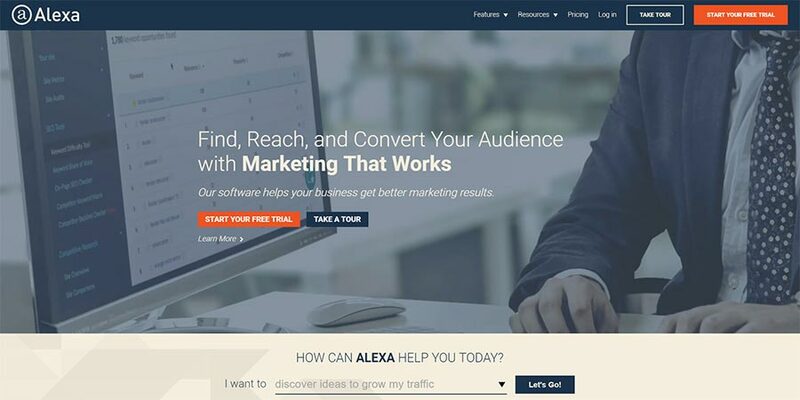 Furthermore, these are the most widely used digital marketing tools out there and even if you don’t need some of them right now, you will probably need them as you acquire new clients. Semrush is one of those digital marketing tools which collect almost everything you’ll ever need in one place. Its free version, however, is rather limited and there are numerous restrictions applying to free users. Still, the free tool can be actually quite convenient for basic searches and quick check-ups. Moreover, Semrush offers a free 7-day trial for their users and they can later choose to upgrade to a premium plan. About a month ago, Google introduced its new marketing tool they called Google Marketing Platform. The platform brings together DoubleClick Digital Marketing and the Google Analytics 360 Suite which helps buy, measure, and optimize the media and customer experience. The #1 priority for marketers is to better understand their customers. By offering tools that make it easy to collaborate and share insights, Google Marketing Platform helps achieve this customer-first approach to marketing. As a leading tool for online marketing, Google has been incorporating innovations suiting the needs of the experts. This is why the marketing platform is a must in any digital marketer’s directory. Keyword Explorer. This tool is available as both, free version and a paid one. Generally, it allows users to discover, prioritize, and analyze keywords. With a 30-day free trial, you can import, export, and create keyword lists using the tool. Link Explorer. The explorer provides robust data on link analysis, competitive research, and link building tools. It is also available for a free 30-day trial. Moz Bar. 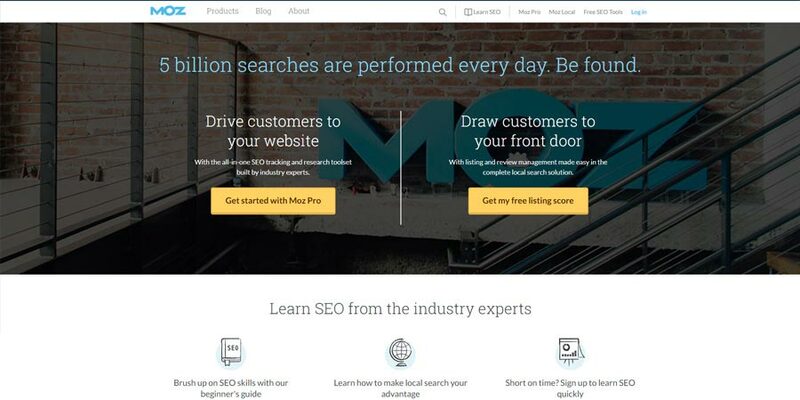 This extremely well-known to all SEO marketers Chrome extension, allows users to examine and analyze search, social and page metrics of any site they visit for free. Start a website for FREE! Create a space for your portfolio, blog, or business for less than 20 minutes. SimilarWeb‘s free option offers a great little preview of the vast insights that the tool has to offer. 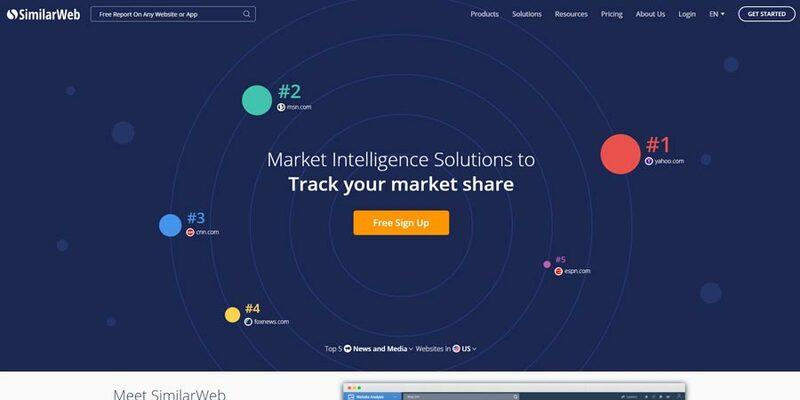 Allowing users to grasp their role and track their market share, the solution demonstrates the competition’s online strategy and analytics. Also, users have the opportunity to identify emerging trends, discover new partners, leads, and affiliates. Understanding the consumer intent and journey provides information on how to improve ones’ services. 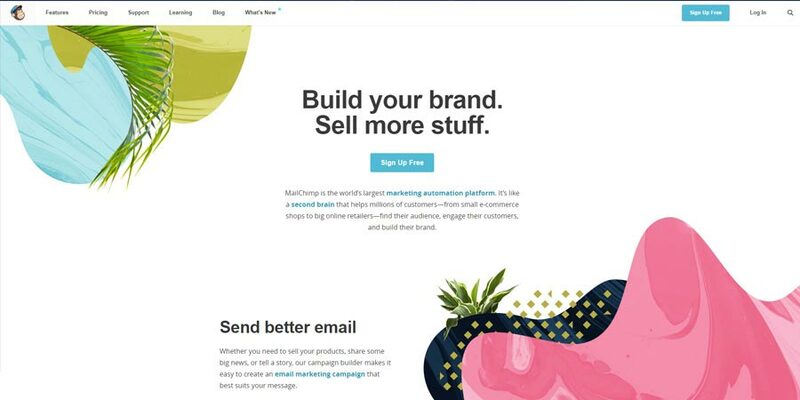 If you’ve never heard of MailChimp, what have you been doing in the past 17 years? Seriously, the automation platform has been around for almost two decades! Moreover, it has managed to remain one of the most relevant and effective digital marketing tools out there all this time. So why is MailChimp so popular? It’s partly because of its forever free option which is perfectly suitable for individuals and small businesses. The tool the automation of up to 12,000 e-mails per month! And all of this comes with analysis reports and A/B testing. 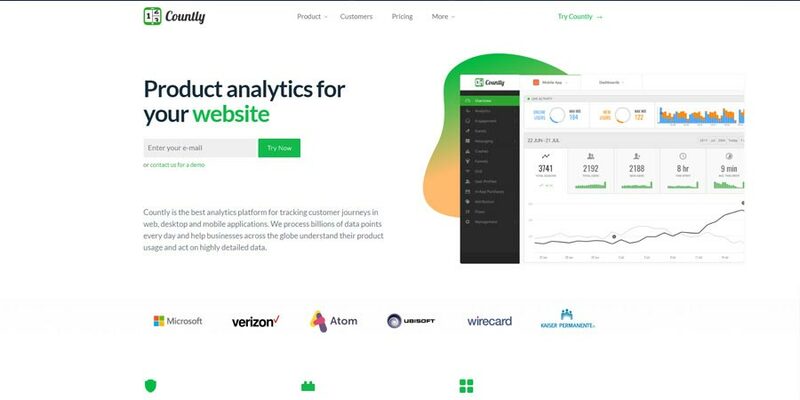 Countly is a product analytics and marketing tool where, as they put it, “you are in control”. The tool essentially provides information for tracking customer journeys. This includes aggregated data using direct database access and APIs. The tool comes as both free and paid with the latter offering the option of Service level agreement and Rebranding option. 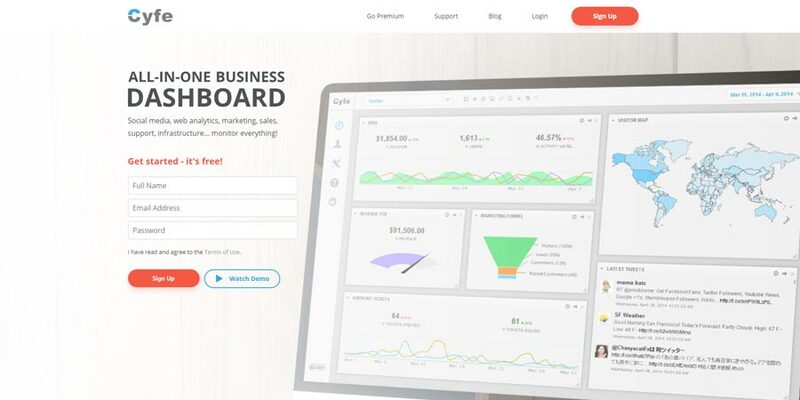 As an “all-in-one” business dashboard, Cyfe has a lot to offer to marketers and advertisers. The tool allows users to monitor the social media, analytics, marketing, sales, and support on multiple websites. This means that the organization and sorting of all of the aspects of the websites are available easily and at one place that integrates them all. 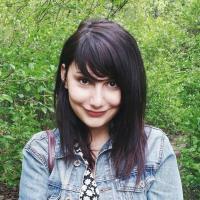 Alexa is one of those tools who has witnessed the evolution of the web firsthand. Founded in 1996, Alexa is a pioneer in the world of analytical insight. Keyword Difficulty Tool. Using the website’s competitive power, the tool suggests keyword ideas to plan the SEO content. Competitor Keyword Matrix. Here you are introduced to keywords based on your biggest competitors’ strategies. On-page SEO Checker. The tool provides a list of action items to follow in order to maximize the SEO results. Competitor Backlink Checker. This checker, on the other hand, examines competitors backlinks, offering an insight into your personal backlink strategy. SEO Audit Tool. SEO audits are essential for the smooth operation of a website. That’s why using a tool which helps you find and fix technical problems that keep you from ranking may be useful. With Google’s linguistic competence developing each passing day, the website has become exceptionally comprehending of semantic nuances, synonymy, and polysemy. This is why working with Latent Semantic Indexing is told to be beneficial to your overall SEO efforts. 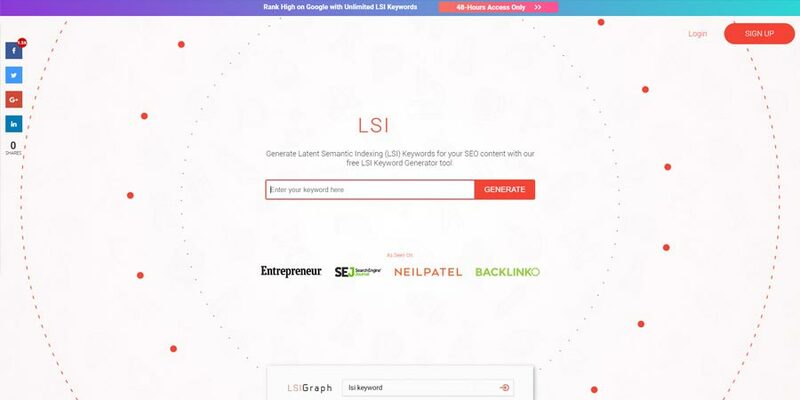 LSI Graph is a keyword generator that suggests words semantically related to your target keyword. This contributes to the liveliness of your language and appeals to both, humans and search engines. 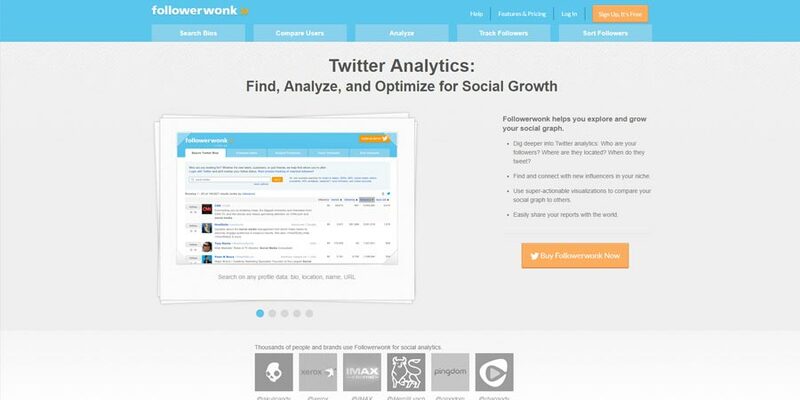 Followerwonk is a digital marketing tool that is essential to all businesses and individuals who try to build social relationships and community online. Exploring and growing your social graph means that you can learn more about your followers and analyze their demographics. Furthermore, the tool lets users find influencers in their niche, thus, contacting them with potential partners. Digital marketing tools have flooded the internet over the past few years offering a wide range of solutions related to strategy and analytics. When one begins their web journey, one of the most aspects of their endeavors the marketing behind the content. This is why, even if the budget is tight, digital marketing is something you can achieve with a zero investment (only if you don’t count sleepless nights as an investment). At the end of the day, whatever the cost of it was, what matters is creating enticing content that turns sporadic visitors into a strong community. And a digital marketing tool now and then can only enhance that.